Large scale cyber attacks seem to be happening once a month these days. Originally discovered by ESET (https://www.welivesecurity.com/2017/10/24/kiev-metro-hit-new-variant-infamous-diskcoder-ransomware/), Ukrainian and Russian organizations have been hit with the latest ransomware attack named Bad Rabbit. At the time of writing this post, the ransomware has believed to have originated from compromised webpages with a fake popup for updating Adobe Flash Player. It has been reported that much of the behavior of Bad Rabbit has been similar to a previous ransomware known as NotPetya. 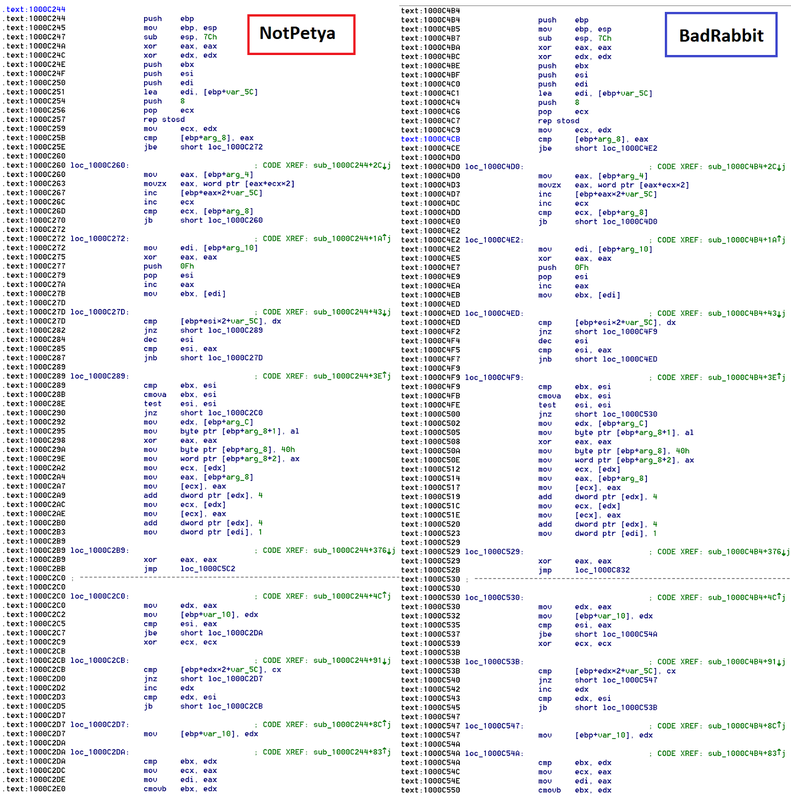 Using Intezer Analyze™, we have found code reuse from NotPetya throughout different binaries of Bad Rabbit. Below is a direct comparison of function (0x1000C244) of NotPetya (027cc450ef5f8c5f653329641ec1fed91f694e0d229928963b30f6b0d7d3a745) and function (0x4033B4) of the Bad Rabbit loader (630325cac09ac3fab908f903e3b00d0dadd5fdaa0875ed8496fcbb97a558d0da). Another example of code reuse in the loader from a function that seems to initialize some type of struct. 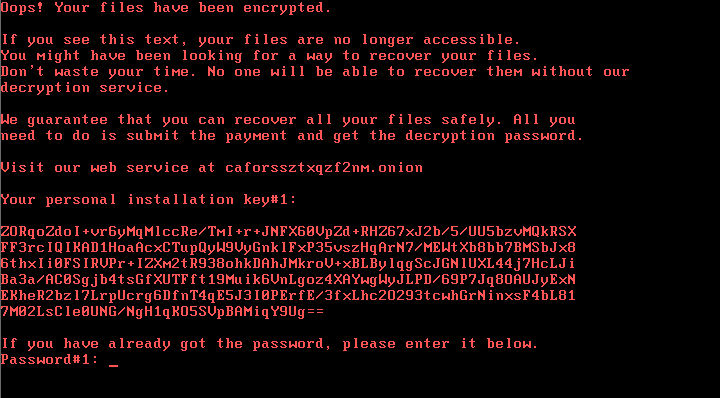 Below is a screenshot comparing a function (0x1000777B) of NotPetya (027cc450ef5f8c5f653329641ec1fed91f694e0d229928963b30f6b0d7d3a745) and a function (0x1000733C) of the encryptor module of Bad Rabbit (579fd8a0385482fb4c789561a30b09f25671e86422f40ef5cca2036b28f99648). The next screenshot is of another matching function between the two samples. As you can see in this attack, and in many other cases, malware authors constantly reuse their code. By recognizing code reuse, you force malware authors to rewrite code and come up with new techniques to avoid detection. This changes the playing field and makes it far less cost effective for malware authors and cyber crime organizations.